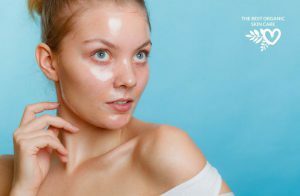 Enzyme masks are becoming more popular these days, but what exactly are they? And how can they benefit you and your skincare routine? Enzymes are primarily used as exfoliants and anti-inflammatory agents, as they quickly break down dead skin cells containing the protein keratin. Since enzymes result in a chemical reaction when applied to the skin, they are gentler and milder than scrubs and other physical exfoliates. They are also more gentle than products containing stronger acids such as glycolic acid. 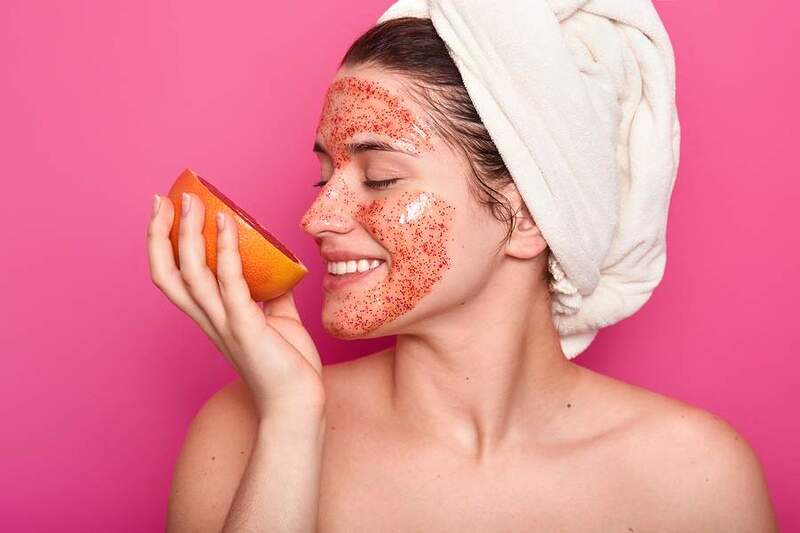 Often derived from fruit—like papaya, blueberry, or pineapple—the use of enzymes has been shown to result in dramatically smoother, more radiant skin. 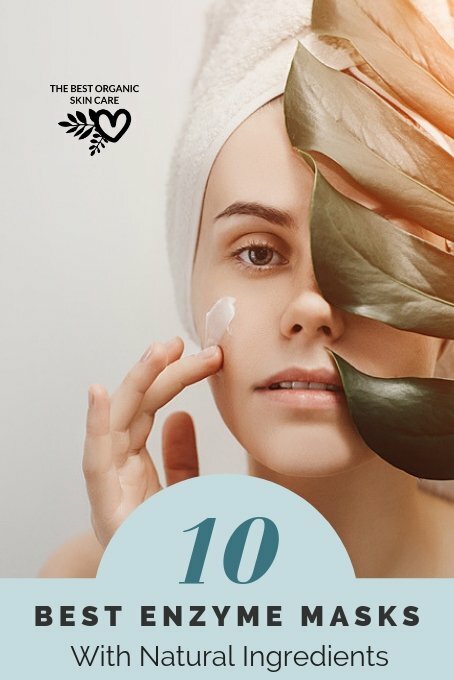 Those aren't the only benefits of using enzymes in your skincare products: They also protect the skin from damage caused by UV rays and pollutants of the environment. Bromelain is the enzyme found in pineapple used in a variety of enzyme skincare products. When applied to the skin, this enzyme speedily removes dead skin cells through a chemical reaction. It unclogs pores and reduces inflammation and irritation. Found in papaya, papain, or carica papaya fruit extract, is another commonly used enzyme. Known to be rich in alpha hydroxy acids, antioxidants, and other nutrients—such as carotenoids and vitamins B and C—papain can dramatically improve the appearance of skin. Pumpkin enzymes are other great enzymes. They enhance cell turnover, even out the texture of the skin, and brighten the skin’s surface. Pumpkin also contains vitamins A and C.
Those who are prone to acne breakouts may find blueberry enzymes particularly helpful. These enzymes can remove sebum found in pores very effectively and also brighten and protect the skin from UV rays and free radicals very well. 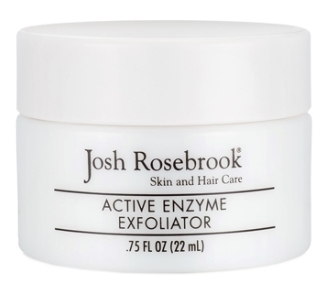 Concentrated with honey, aloe vera juice, and herbal enzymes and acids, Josh Rosebrook's Active Enzyme Exfoliator does wonders for the skin to promote a healthy, smooth complexion. It works for a variety of skin types, including those who find themselves prone to acne, rosacea, and general sensitivities. While this mask is brimming with enzymes, it also contains ground walnut shells so you can easily exfoliate your skin. Since it is so potent, you only need to leave this on for up to 10 minutes before you’re ready to wash it off. After that, behold your skin soft as a baby’s bottom! Doesn't leave your skin feeling dry. Smell is earthy and grounding. Skin feels incredibly soft and has a beautiful glow after each use. Helps with breakouts, redness, dull and tired skin. Size of the shell particles are perfect - you can feel them scrubbing, but they're not so huge that they hurt your skin. Some find it difficult to spread evenly due to the crushed walnut shells. Some feel the fruit enzymes aren't strong enough. 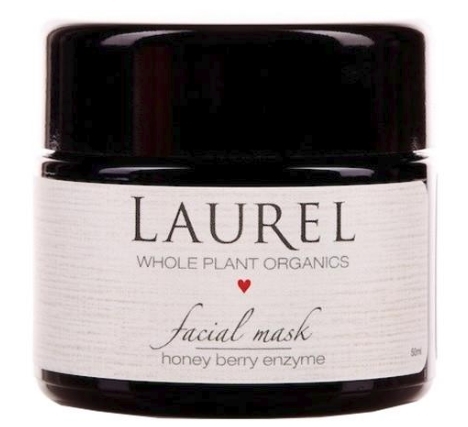 There are only a few ingredients in Laurel WPO's Honey Berry Enzyme Mask, but that’s all that’s needed for you to reap the fantastic benefits of strawberry and blueberry fruit enzymes. With a base of royal jelly, known for its anti-aging properties, this mask is super hydrating, plumping, and high in antioxidants. With an uplifting scent from grapefruit essential oil, watch as your dead skin cells melt away within minutes of application of this mask. Your skin will be left feeling smooth and heavenly! Honey*, Royal Jelly*, Strawberry*, Blueberry*; Grapefruit* Essential Oil. Plumps and brightens the skin. Sticky, make sure you have your hair out of the way. 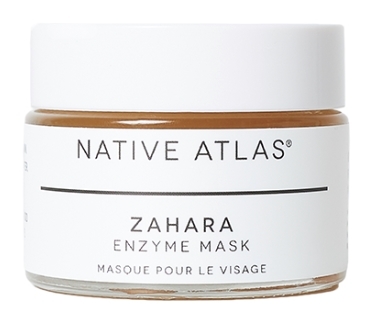 Rich with vitamins and minerals, the Native Atlas Zahara Enzyme Mask is a strong solution for repairing dull skin laden with clogged pores. To restore your complexion to an ideal state, merely apply to the skin for 10–15 minutes. As time goes by, your skin will drink up the mask’s moisturizing, antioxidant-filled properties thanks to carrot seed, aloe vera juice, and algae. There are some powerful ingredients in this mask—a few of them being ginseng, pineapple enzymes, and botanical hyaluronic acid. Aloe Barbadensis (Aloe Vera) Leaf Juice*, Sodium Hyaluronate^, Rosa Damascena (Rose) Flower Water*, Vegetable Glycerin*, Leuconostoc/radish Root Ferment Filtrate, Panax (Red Ginseng) Root Extract^, Passiflora Edulis Fruit Extract^, Citrus Limon (Lemon) Fruit Extract^, Ananas Sativus (Pineapple) Fruit Extract^, Vitis Vinifera (Grape) Fruit Extract^, Cocos Nucifera (Coconut) Extract*, Sclerotium Gum^, Acacia Senegal Gum^, Pectin^. May be too strong for sensitive skin. 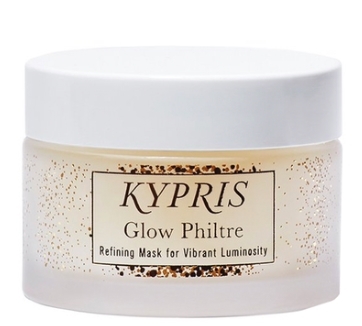 Watch your skin transform into a glowing, bright state with the use of the KYPRIS Beauty Glow Philtre. Pomegranate enzymes gently encourage the removal of dead skin cells, while sea fennel steam cells and sea algae extracts soothe, plump, and soften the skin. This mask is ultra hydrating, reviving even the most lifeless skin. As your skin is delighted with the nourishment inherent to this mask, your nose will love the lush and fresh scent due to neroli and orange essential oils contained within. Is clear so you can wear it around the house. The price is high, but worth it for the quality of ingredients. 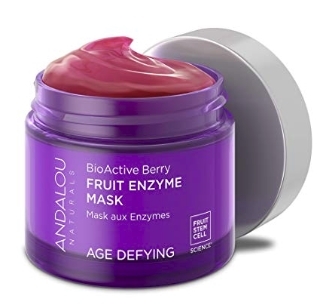 Ideal for those who are looking for a mask containing anti-aging properties, this Andalou Naturals enzyme mask provides nourishment and rejuvenation while also cleansing and exfoliating. The anti-aging properties come from the help of aloe vera juice, rooibos, sunflower oil, and CoQ10. Unique to the brand, Andalou Naturals captures the essence of nature with its fruit stem cell science. These agents support the skin’s vitality, promote anti-aging, and help build collagen and elastin, resulting in a lively, beautiful appearance. Not too harsh, won't dry out your skin or cause it to peel. Works to brighten and smooth the skin. Some people find the glycolic acid in it to be irritating. 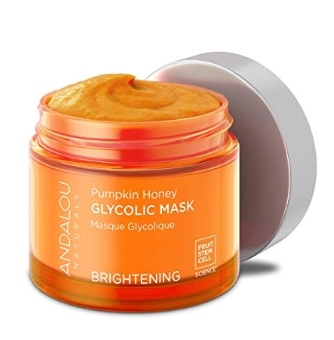 Yes, this mask looks like pumpkin puree out of the jar (and it’s the primary ingredient! ), but that shows how rich it is in vitamin A and beta carotene! A less expensive option for those looking to rid their skin of toxins and impurities, this mask feels soothing and nourishing when applied. Stimulating skin cells and balancing overall tone, fruit stem cells provide results unique to the Andalou Naturals brand. Glycolic AHA also works to dissolve dead cells so your full shine can come forth. Goes on nice and smooth. 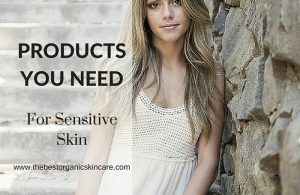 People with sensitive skin can use it. Only contains 1% glycolic acid. Some people found it irritated their skin. 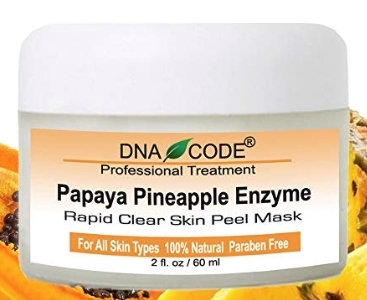 Every bottle of DNA Code's Papaya Pinapple Enzyme Mask is enhanced with glycolic acid, argan oil, and hyaluronic acid to tighten and smooth out skin. Other key ingredients include papaya, pineapple, and pumpkin enzymes to increase cell turnover rate and reduce wrinkles and fine lines. As this mask is packed with fruit enzymes, you can expect that it is equally full of vitamins and minerals, such as betacarotene, zinc, and potassium. Ingredients: Purified Water, Organic Aloe Juice, Organic Sunflower Oil, Glyceryl Stearate, Kosher Vegetable Glycerin, Octyl Palmitate, Organic Coconut Oil, Cocoa Butter, Cetyl Alcohol, Potassium Stearate, Organic Beeswax, Organic Jojoba Oil, Glycolic Acid , Pumpkin Enzymes, Papaya Enzymes, Pineapple Enzyme, Argireline peptides, Tamanu Oil, Sesamum Indicum (Sesame Oil), Tea Tree Oil, Spirulina Maxima (Spirulina), White Willow Bark, Mel (Honey), Organic Lavender, Methyl Salicylate (Wintergreen Oil), Organic Centella Asiatica (Gotu Kola), Organic Kojic Acid, Organic Borage Oil, Licorice Extract, Organic Flax Seed Oil, Organic Argan Oil, Organic Evening Primrose Oil, Organic Rose Hip Oil, Vitamin B5, Vitamin E, Vitamin C Ester, CoQ10, Organic Arnica, Organic Calendula, Organic Chamomile, Grapeseed Oil, Macadamia Nut Oil, Sodium Carbomer, Phenoxyethanol, Ethyl Hexyl Glycerin. Effectively smooths and brightens the skin. Skin looks progressively better with use. 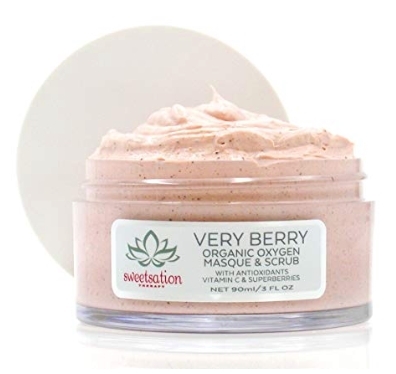 There are 10 super berry and fruit ingredients in this mask and scrub, and when combined, they bring forth a therapeutic, relaxing effect. Although it is gentle in nature when on the skin, it is exceptionally useful in sloughing off skin cells that are no longer serving you. With the use of honey, as well as strawberry and pineapple fruit extracts, this skin product revitalizes and repairs the skin, leaving it radiant and protected from the sun and free radicals. It readily absorbs impurities and feeds the skin with nourishment and youthfulness. Purified Water, Organic Aloe, Organic Sunflower Oil, Glyceryl Stearate, Kosher Vegetable Glycerin, Octyl Palmitate, Organic Coconut Oil, Cocoa Butter, Cetyl Alcohol, Bentonite, Kaolin, Potassium Stearate, Organic Beeswax, Apricot Kernel Meal, Methylsulfonylmethane (MSM), Walnut shell Powder, Pink Grapefruit Essential Oil, Rice Bran, Organic Jojoba Oil, Tamanu Oil, Grape Fruit Extract, Kiwi Fruit Extract, Apple Fruit Extract, Strawberry Fruit Extract, Vanilla Oil, Pineapple Fruit Extract, Organic Goji Berry Fruit Extract, Organic Cranberry Seed Oil, Blueberry Oil, Sodium Ascorbyl Phosphate (Vitamin C), Hyaluronic Acid, Organic Reishi, Acai Berry, Camu-Camu Fruit Extract, Organic Raspberry, Kelp, Organic Avena Sativa (Oat), Honey, Organic Vinca Major (Periwinkle), Pomegranate Extract, Papaya Fruit Extract, Organic Borage Oil, Organic Flax Seed Oil, Organic Evening Primrose Oil, Organic Rose Hip Oil, Panthenol, Jasmine, Allantoin, Organic Arnica Oil, Organic Lavender Flower Oil, Organic Calendula, Organic Chamomile Oil, Grapeseed Oil, Macadamia Nut Oil, Ascorbic Acid, Sodium Carbomer, Phenoxyethanol, Ethyl Hexyl Glycerin. Contains hyaluronic acid to keep skin hydrated. Creamy and light, like a smoothie for your face. Use as a mask or as a scrub. Skin is hydrated and radiant. Smells delicious, like chocolate and berries. Some people have not seen enough results to justify a re-purchase. 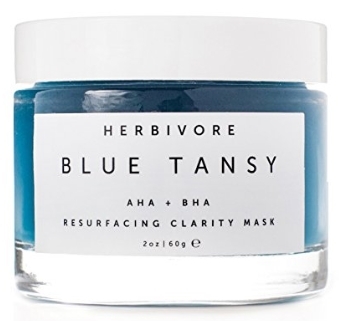 A soothing deep blue color, this plant-based, food-grade mask exfoliates and resurfaces skin so you don’t have to worry about it potentially harming your body. With white willow bark, a natural beta hydroxy, the mask decongests and unclogs pores. Aloe leaf juice is responsible for shedding dead skin cells as well since it contains salicylic acid. Blue tansy oil is what gives this mark its lovely color, but it’s not just for appearance—the oil also reduces redness and sensitivity on the skin. And, of course, this mask wouldn’t be complete without our favorite fruit enzymes. Papaya and pineapple enzymes are present in this mask specifically, giving the skin a soft, smooth complexion. Aloe Barbadensis (Organic Aloe) Leaf Juice, Hydroxyethyl Cellulose (plant derived), Glycerin, Blue Tansy Oil, Carica Papaya (Organic Papaya) Fruit Extract, Carica Papaya (Organic Papaya) Leaf Extract, Ananas Comosus (Organic Pineapple) Fruit Extract, Leucidal (Radish Root Ferment). Skin is brighter after use. Prevents breakouts and lessens scarring. It's quite runny to apply. Some people don't like the scent. Another Herbivore Botanicals favorite among us, we love this mask for its moisturizing properties and its scent reminiscent of a rose garden. We think it’s pretty cool, too, that this mask contains micro-ionized Brazilian Tourmaline gemstones. These give the mask its bright, clean, white appearance. 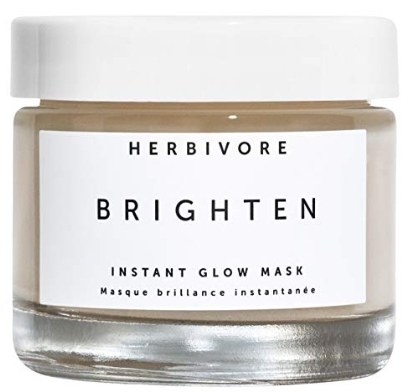 Just like the other Herbivore Botanicals mask mentioned, this one has a base of aloe vera juice, making it rich in providing hydration to the skin. Pineapple and papaya enzymes cleanse the skin of unwanted layers that prevent your skin’s brightness from naturally shining through. You won’t be disappointed! Aloe Barbadensis (Organic Aloe) Leaf Juice, Hydroxyethyl Cellulose (plant derived), Glycerin, Carica Papaya (Organic Papaya) Fruit Extract, Carica Papaya (Organic Papaya) Leaf Extract, Ananas Comosus (Organic Pineapple) Fruit Extract, Micronized Brazilian Tourmaline Gemstone, Rice Powder, Rose Distillate, Leucidal (Radish Root Ferment). Only need a tiny amount to cover face. Hard to wash off with just water. Although enzyme masks work gently in comparison to chemical and physical exfoliants, they prove to be quite mighty during usage. They work very effectively in removing unwanted layers on the skin, and they are, more often than not, derived naturally from strawberries or papaya, for instance. 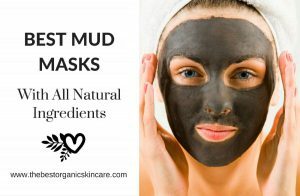 We hope that you found this guide to our ten best natural enzyme masks helpful! Did you find a product you’d like to try? Do you know something we don’t about enzymes or enzyme masks? Let us know in the comments! Or feel free to ask any question you may have. We love to hear from you!